Times are rough. Hundreds of thousands of Americans are either sitting at home unable to work, or furloughed and working without pay. There is no end in sight to the government shutdown and the ripple effect is vast. Families are finding it difficult to feed their kids, small businesses and local communities are suffering and our nation is less secure with a number of FBI and TSA workers on leave. But as we struggle to stay positive in this climate of fear, insecurity and division, every now and then, there is a tiny glimmer of hope. Over the long weekend, we felt a bit of that elusive sense of hopefulness as Senator Kamala Harris announced her candidacy for President of the United States. Senator Harris, a Howard University graduate and AKA soror who is the daughter of immigrant parents from Jamaica and India, is a breath of fresh air; she is the literal embodiment of so much that Donald Trump dislikes. Like many other women, people of color and just frustrated folks in general, I say: Bring it on, Kamala! There was tremendous symbolism in Harris’ announcement on Monday. She chose Martin Luther King Day to officially launch the Kamala Harris for the People campaign. The announcement was also timed with the 47th anniversary of the week in which Shirley Chisholm, the first Black woman elected to Congress and the first woman and first African American to run for a major Party’s Presidential ticket, announced her candidacy. Instead of going the usual Iowa route, Harris instead has decided to hold her first campaign event in South Carolina on Friday, followed by a rally in Oakland on Sunday. It’s clear that her messaging, outreach and focus are different because she comes to the table with different experiences from many of her counterparts. And, we’re so here for the multiple ways in which Harris has already integrated her blackness into her campaign strategy. Harris’ campaign video emphasizes truth, justice, decency and equality and she says that “They’re the values we as Americans cherish, and they’re all on the line now.” As we’ve seen during her time in the Senate, Harris is a fierce fighter, holding people’s feet to the fire, whether during confirmation hearings or through her daily work. Her current platform includes supporting Medicare for all, billions in tax credits to low-income renters and programs that can provide low-income families with cash payments of up to $500, marijuana legalization, a $2.8 trillion middle-class tax plan, reforming the cash bail system and much more. She’s also been strong on curbing maternal death rates, especially among Black women who continue to die at three to four times the rate of white mothers in the U.S. according to the CDC. In just the first 24 hours since Harris’ announcement, she has already raised an astounding $1.5 million. So, it’s no surprise that many are threatened by her ability to resonate with a broad spectrum of the electorate that is tired of our corrupt, racist and greedy administration, and the atrocious environment that they have created in our country. 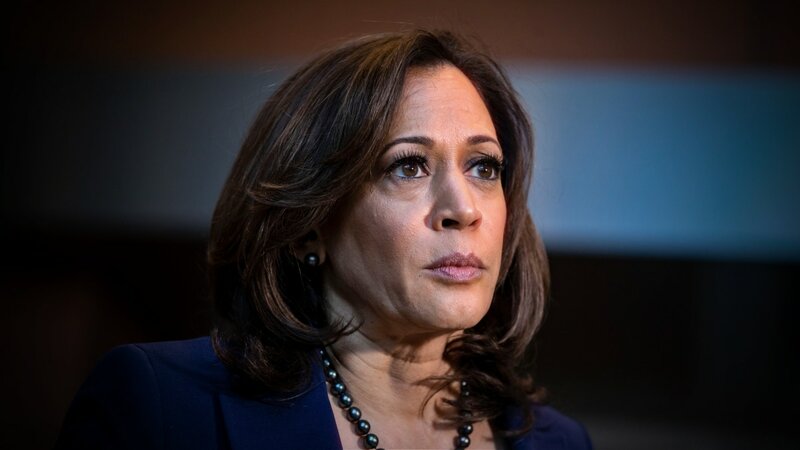 Almost on cue, we’re seeing ugly attacks against Harris including a retread of the ‘birther’ nonsense that Trump used against President Obama, with some on the far-right questioning when her parents became citizens, her true place of birth, whether or not she was raised in this country, her citizenship and therefore her eligibility to run for office. It’s racist déjà vu all over again. Now, there are some who have raised legitimate concerns about Harris’ time as Attorney General in California and her record on criminal justice reform. While we have to hold candidates accountable, we must also allow them to explain themselves, study where they stand on the issues now, understand what their platform is for the future and then keep the pressure on them to stay true to their word. A person’s record is important, but no candidate will ever be perfect and we will never agree with everything she or he does. Purity tests are dangerous because that can lead to apathy and low turnout, which we simply can’t afford in 2020! There’s a lot to worry about at the moment. People are still being shot and killed by police, children are still in detention centers at the border and elsewhere, the cost of living continues to rise while wages remain virtually stagnant, hate crimes are increasing, division is the greatest it has been since the Civil War, and this President continues to use people as pawns for a wall to appease his base and symbolize xenophobia. Our country has become an international laughingstock. However, through the uncertainty and frustration, there is that all, but important audacity of hope that Obama so effectively coined. Whether or not Kamala Harris eventually secures the Democratic nomination, her announcement has given me enough of that hope to believe that the long nightmare we are all currently in will eventually come to an end. Amy DuBois Barnett is the Chief Content Officer of theGrio and EVP, Digital for Entertainment Studios Global Media, one of the largest independent producers and distributors of film and television.